The Woodcraft Skills Workshop provides a foundation in six of the basic woodcraft skills – Rope Craft, Knife Craft, Fire Craft, Shelter Craft, Pack Craft and Map and Compass Navigation. These are the essential skills for spending time in the backcountry with basic gear. Even if you use modern backpacking gear, these skills will raise your confidence in backcountry travel and will enhance any backcountry experience. View the Woodcraft Skills – Day Camp Series curriculum. Rope Craft is a foundation skill for Shelter Craft. An eye splice creates a permanent loop in an end of a rope for a secure shelter. Rope Craft. 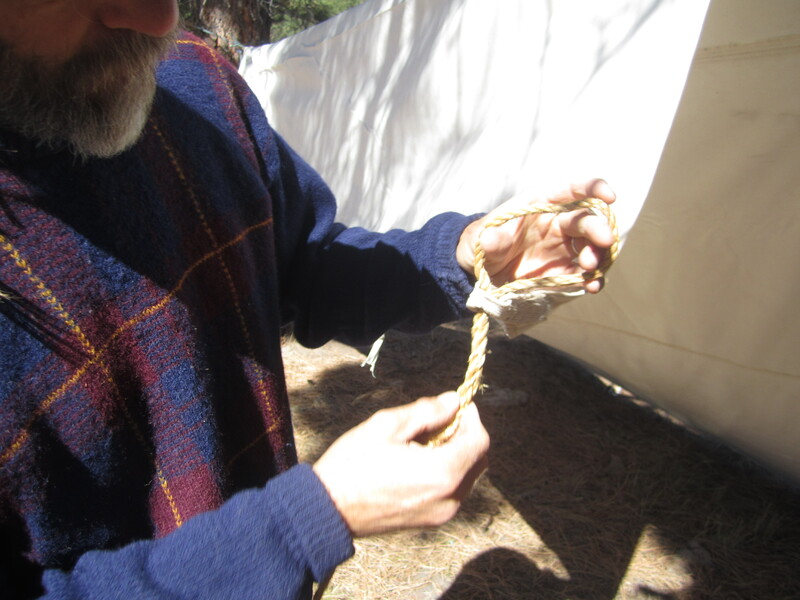 We start with Rope craft and demonstrate proper rope care and maintenance. Then teach the 7 knots that will cover nearly all of your knot needs in the field. Knife Craft. Many people place the knife on the top of the list of critical gear for backcountry travel. A good knife coupled with proficient knife use skills are invaluable when you rely on what nature provides to stay healthy and happy in the outdoors. 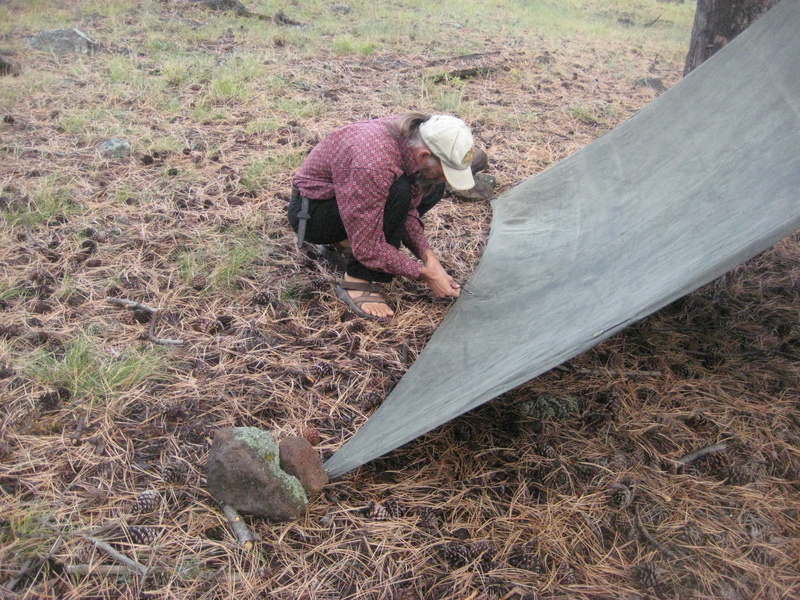 Setting up a tarp shelter for a comfortable nights slumber. Shelter Craft. Using rope craft skills, a tarp or poncho and what nature provides you will be able to craft a cozy home for the night or the week. Pack Craft. You will learn to use a few of the basic woodcraft gear items to fashion a comfortable pack to allow you to travel easily from place to place. And, when you arrive at camp, the items used to construct your pack are put to double duty for your bed and shelter. Jeff demonstrates fire craft to eager students. Fire Craft. Of course, a fire is necessary for cooking the evening meal, but fire is a quintessential part of camping out. Fire has always been a part of outdoor life. 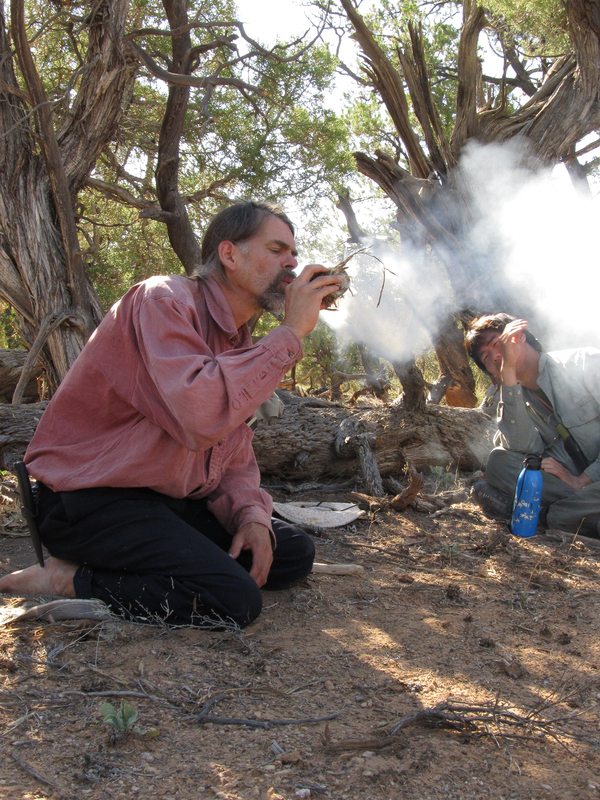 We teach friction fire for the many lessons it provides relating to the art of fire construction. Then we offer the finer lessons of using modern methods for making a fire. Finally we address the ethics of fire use in the backcountry. Map and Compass Navigation. Traveling in the backcountry can not happen at all if navigation skills are lacking. Map and compass skills are the foundation of all backcountry navigation, even if you use a GPS. And if your GPS fails or the batteries die, you will have skills to get you out of the backcountry. You will not have to rely on your GPS to do the thinking if you possess Map and Compass skills. The Woodcraft Skills Workshops requires a minimum of 3 days and to have the greatest benefit should be 5 days.